For a limited time, buy 1 Creatine Monohydrate, 500 Grams & get 1 50% OFF! 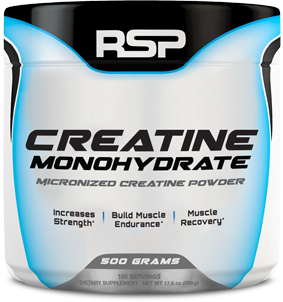 For a limited time, buy 1 Creatine Monohydrate, 300 grams & get 1 50% OFF! Mixes well will with water. Is not gritty like others I have tried. Overall has no taste when mixed with other supplements. On my 5th tub and will continue to buy rsp. Very soluble and doesn’t taste like anything. I would recommend to anyone. Product was great. 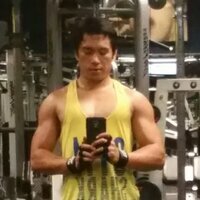 Had noticeable endurance and strength gains during my cycle. Mixes well. No taste. Had my blood drawn recently, shows an elevated level of creatine. I've used this for about a week and it is a PHENOMENAL product! I highly recommend it!!! RSP knocked it out of the park with this product. Great results, and easy to use! Mixes good I add it to my preworkout really helps with strength and endurance for me . 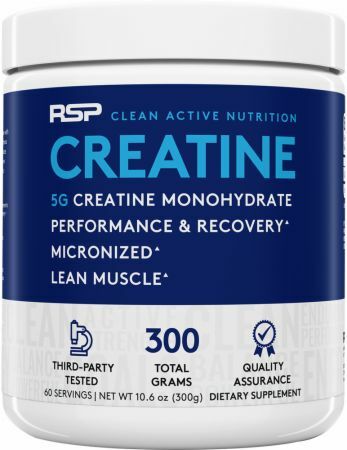 Very good, clean and pure creatine supplement. I add this for my pre-workout for an added pump volume and post-workout for faster recovery.